Chobe Bush Lodge is a Chobe River Lodge in Kasane, on the doorstep of four African countries, making it the ideal gateway safari destination. Situated on the border of the Chobe National Park in Kasane, this Chobe Lodge has 38 spacious en-suite rooms with luxury amenities. Each room at this Kasane accommodation is decorated in a contemporary bush-style and guests can enjoy picturesque views from their private balconies. 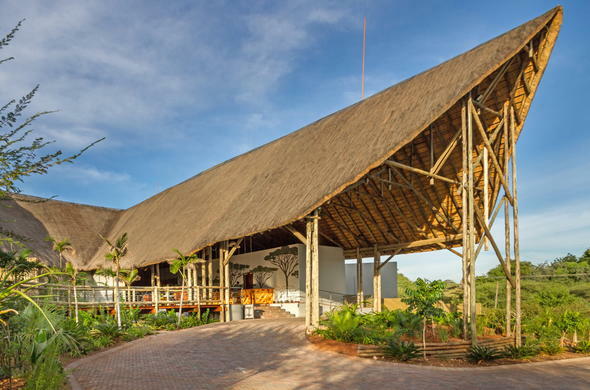 The exquisite Chobe Bush Lodge has two bars where guests can unwind with a refreshing beverage and witness the enchanting African sunset. Indulge in bush dining under a blanket of stars aboard a boat or enjoy traditional meals at the lodge. At Chobe Bush Lodge you will have an unforgettable game viewing experience. The Chobe National Park has the largest population of elephant and on scenic game drives and boat cruises you will witness them in action. Along with an experienced game ranger you will track an abundance of fauna and flora.